A limited ability to reach consumers where they shop and purchase. Send samples of products with low review volume to TryIt community members in exchange for honest reviews. An increase in positive, high-quality review volume of key products on retail sites. Among customers who received a sample, 93% followed through with submitting a review. Shoppers increasingly rely on the authentic opinion of other consumers to make informed purchasing decisions, making it imperative for brands and retailers to provide them with consumer-generated content (CGC). This is a challenge for brands, as most lack the ability to reach and influence shoppers in the retail channel with the content they trust. Gladiator brand, a manufacturer of home and garage storage products, overcomes this obstacle by leveraging a product sampling program to collect honest reviews from consumers and distributing the CGC to multiple retail partner sites. It’s critical that we have reviews, says Michelle Wodarczyk, Brand Marketing Manager at Gladiator. In many cases, a shopper’s first experience is in reading reviews, so we needed a way to easily syndicate reviews to our partners’ sites. Understanding the role of reviews in driving consumer confidence, Gladiator turned to Bazaarvoice TryIt Sampling to quickly and easily capture more word of mouth content and share it across Bazaarvoice’s network of more than 6,000 brand and retail sites. Our primary goal was to get reviews to syndicate to our channel partners with a special focus on products with less than 20 reviews, said Wodarczyk. To start the sampling campaigns, Bazaarvoice built a targeted list of TryIt members to receive the samples. This select group of consumers met a variety of criteria, including those who have a garage or are home improvement enthusiasts, which ensured only engaged shoppers who are most likely to try and review products received one. Gladiator sent samples of cabinets, shelving units, and other storage products to the targeted members, and 93% of the recipients followed through with submitting a review. This resulted in more than 250 new reviews with a 4.8 average overall rating. All of Gladiators’ reviews, including those gathered from sampling, are distributed to retail sites and help turn in-market shoppers into buyers. Gladiator has more than 18,000 reviews across more than a dozen retailers and a majority of products on those sites would have zero reviews if not for syndication. Additionally, the content collected by the brand has a higher average overall rating than content gathered by retailers, meaning the syndicated content is increasing the ratings of Gladiator products on retail sites. The TryIt Sampling solution is turnkey and requires little-to-no effort for brands like Gladiator. The level of ease is simple, and the process is clear. We’ve run similar programs with individual retail partners, but we prefer the TryIt Sampling program because it’s easier, and a lower cost way to get reviews on our own site and on multiple trade partner sites, said Wodarczyk. Many other parts of the business are benefiting from the program and with CGC in general. Among other teams at Gladiator, our product team and engineers read reviews and make note of content containing insights. This helps us uncover customer sentiment around a variety of areas, like what we can do better or thoughts on features, ease of installation, and other crucial pieces of information coming directly from the consumer, said Wodarczyk. 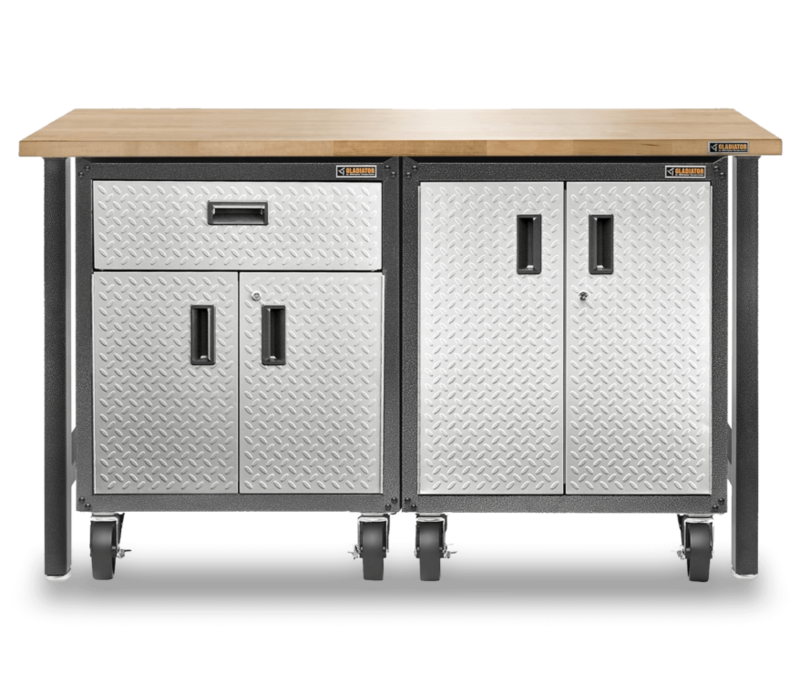 Gladiator brand makes home and garage storage products, including cabinets, shelving, and other organization solutions. It’s critical that we have reviews. In many cases, a shopper’s first experience is in reading reviews, so we needed a way to easily syndicate reviews to our partners’ sites.